The event will take place at the Kingsgate Marriott Conference Center at the University of Cincinnati. As of April 8th there were no rooms left under the conference discount code, bu there are rooms available nearby (Hampton Inn still has some rooms as of April 16th). You should expect weather in the 70s and rain. 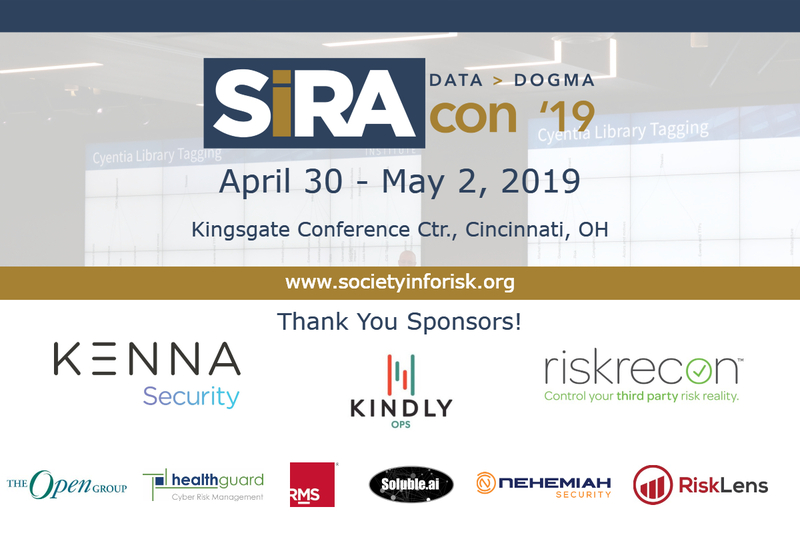 The Society of Information Risk Analysts, established in 2011, is the go-to resource for decision makers & practitioners of information risk management. As an emerging discipline, information risk management benefits from open dialogue and exchange of ideas; SIRA provides a forum where members can build meaningful, professional relationships that keep them at the top of their profession, explore the most important risk management challenges facing their organizations, & discover how methods from other risk management disciplines can help them meet information risk challenges.